Project Treble: Can it Solve Android's Fragmentation Problem? Project Treble: Can it Solve Android’s Fragmentation Problem? Over the past few years, Android has maintained a strong dominance when it comes to market share in the smartphone arena. With over 80% of smartphones running Android, calling Google’s OS merely a success would be a huge understatement. The very fact that every 4 out of 5 smartphones in the planet run on Android is the biggest testament to the fact that users and manufacturers alike prefer using Google’s mobile OS compared to the myriads of other solutions out there. But it’s not like Android is without any problems. One of the main reasons behind the meteoric rise of Android and its popularity has been the fact that Google gives it away for free and that it is very easily to use and customize. 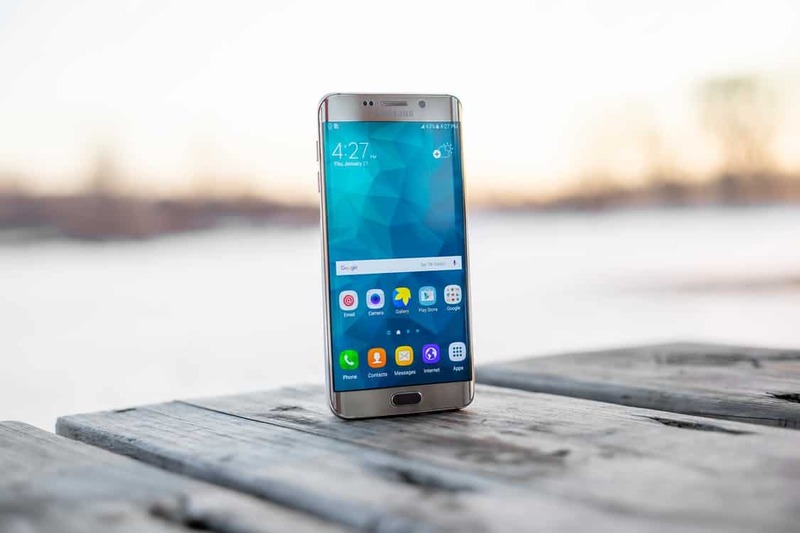 That however has turned out to be a double edged sword as many smartphone OEMs who have utilized a version of Android on their phones have subsequently abandoned their devices in favor of producing newer devices with better hardware and updated software. This has led to what we call Android OS Fragmentation. Put very simply, there is only 0.5% of Android devices running the latest version of the software- Android 8 Oreo. And the reason you, dear reader, should be worried about it is because being stuck on older versions of Android leaves you vulnerable to a lot of bugs and privacy exploits. For years this debate has raged on as there has been a constant tussle between Google trying to make OEMs take responsibility for their devices and the manufacturers shrugging it off in the face of better profit margins from newer hardware with upgraded software. But finally Google might finally have an ace up their sleeve! Can Project Treble save Android from the clutches of Fragmentation? Read on to find out! What is the Android Fragmentation Problem? 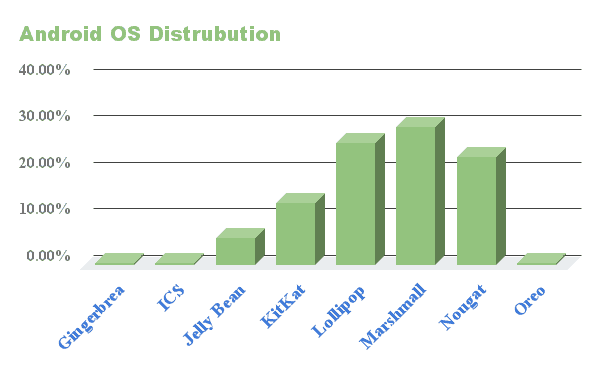 The graph above shows the appalling state of fragmentation that the Android OS currently is in. Marshmallow which had been released way back in October of 2015 has the most number of active Android devices at 29.7%. Nougat comes second with 23.3% of Android devices while Oreo has a measly 0.5% of devices. If we break this down, almost every 1 out of 3 Android devices is running an OS that is more than 2 years old at this point and has probably multiple known security issues and exploits for it in the wild. The worst part of this entire scenario is that the smartphone manufacturers themselves do not care anymore about these older devices as they know that newer software features and security updates are one of the reasons that incentivize customers into buying a new device. Thus the onus lies squarely on Google’s shoulders to come up with a solution to the fragmentation problem as every time a new bug or exploit appears, millions if not billions of Android devices are left out there without any updates or means of protections from potential hackers. How Can Treble Solve Android Fragmentation? 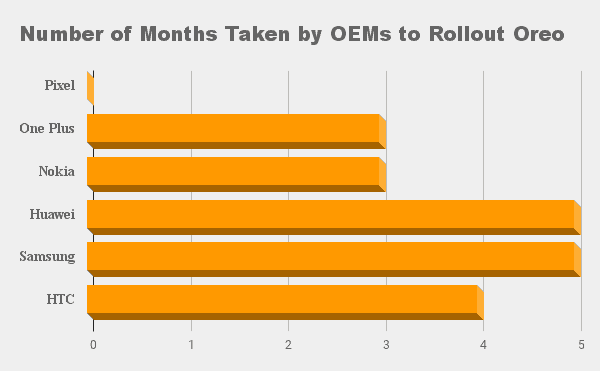 The graph above shows the number of months that major Android OEMs have taken to update their devices from the time Android Oreo had been released by Google. One important thing to note here is that even though some of these dates do not look that bad, do remember that these are just for one of the smartphones among the many that every device manufacturer have. In fact for major OEMs like Samsung, most of their mid range devices are lucky to see even one major Software Update in their lifetime. All of the blame can’t be directed at the manufacturers either. Android skins are something most manufacturers place on top of their devices in a bid to differentiate themselves from others and drive up brand loyalty. However, the flip side of these skins are that they are time consuming to make and considering that none of the smartphone manufacturers are really software companies at heart, it is quite a herculean task for their teams of software engineers to push up updates to a large number of devices. Google, on the other hand, a company that mainly deals with software; is much more adept at something like this. We have had proof of this multiple times in the past where they have been able to update all their Pixel and Nexus devices in a timely manner. The solution therefore is to make sure that the manufacturers have the least amount of work to do while pushing most of the heavy lifting for the Android upgrade onto Google’s more capable hands. This is exactly what Project Treble is all about! Explaining it in very layman terms, the Android OS can be divided into three main layers. 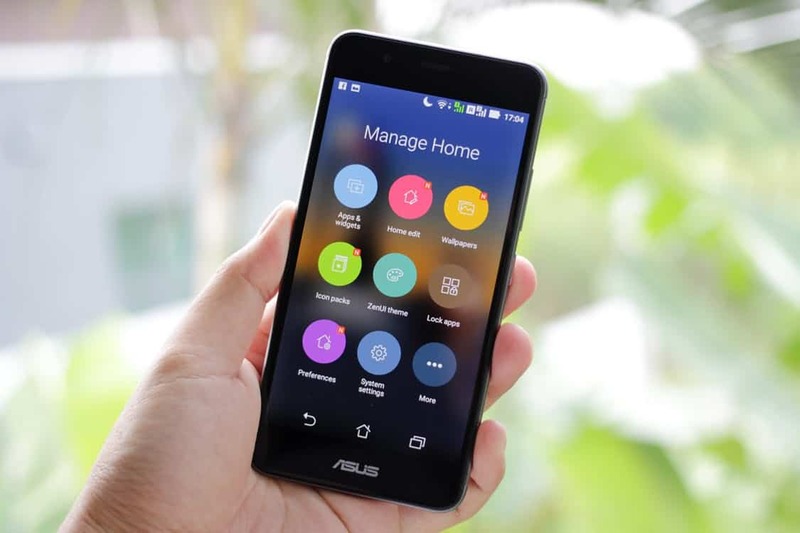 The bottom layer comprises of low-hardware level code which interacts with the Linux kernel, the Android OS framework and finally the top layer which consists of Android Apps. Now in every other version of Android, the bottom two layers had some amount of intermingling. This is because Google has always wanted both system manufacturers like Samsung and Xiaomi as well as app developers to have complete access to all of Android’s hardware level API. But as we have seen before, this has led to updates being delayed to a point where some devices never even receive an update in their entire support cycle. Project Treble fixes all of this by dividing all these three layers into neat stacks which can interact with each other freely as well as allow an easy upgrade path. 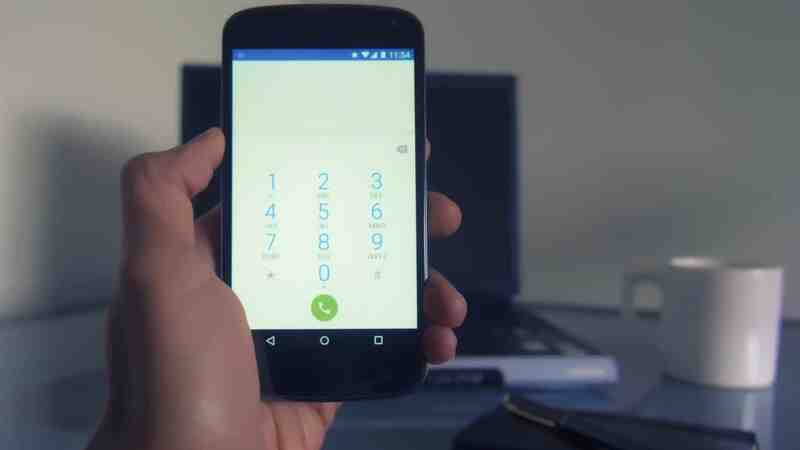 Thus the main advantages of project Treble lie in the fact that Google can directly upgrade the Android framework without even requiring vendor assistance. However, things are not that easy, at least not for all smartphone owners. In fact, these complications are the very reason why many OEMs right now do not want to implement Project Treble in their devices which are being upgraded to Android Oreo. Why Project Treble Isn’t Always The Answer? 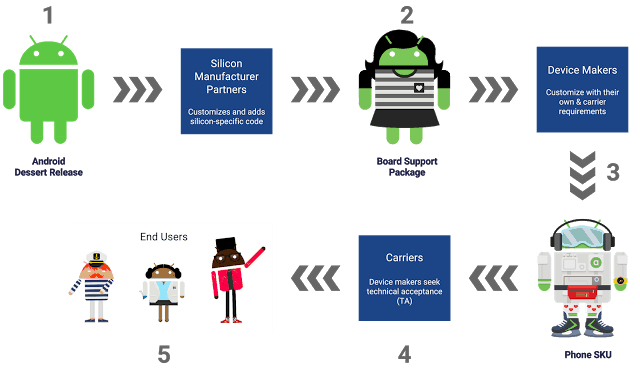 While there are obvious benefits to using the Treble platform for Android upgrades, there are certain subtle hindrances that get in the way of wide spread deployment. Some of the hurdles that obstruct the path of ubiquitous Treble adoption is purely technical in nature and thus something we will deal with later on in this article. Moving past those hardware based hurdles, there is one major reason that might withhold Android upgrades even after Treble has been deployed on newer smartphones. As we discussed earlier, most Android OEMs prefer to have their own skin on their devices which obviously takes time and effort on their part to develop. And while Treble can significantly cut down on the time required to push out an update, manufacturers still would want to take a significant amount of time to fine tune and polish their own custom features and probably add some new ones with every major Android upgrade. This can end up causing a huge delay in the eventual roll out of the upgrade. In stark contrast, we have Apple who can reap the advantage of being in control of both aspects of software and hardware. 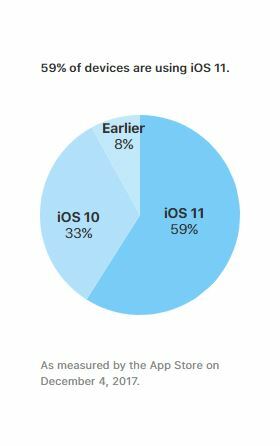 The main reason why iPhones are supported longer and they receive updates much faster(iOS 11 is on almost 6 out of every 10 iPhones) is due to the fact that Apple has sole control over the entire ecosystem. That is not to say that Apple doesn’t cripple devices either, their planned obsolescence takes on a much more sinister turn that we had explored here in much more detail. The counterparts of iPhones in the Android world are Nexus and Pixel devices that receive their updates directly from Google. These devices have been promised 3 years of major Android upgrades as well as 5 years of security patches from Google. This is a major step up from the 24 month upgrade cycle that most other Android phones are subjected to and should be converted into an industry standard practice. As smartphone hardware has progressively gotten better, the upgrade cycles of people have dramatically decreased leading to profit margins for most Android OEMs to stagnate. 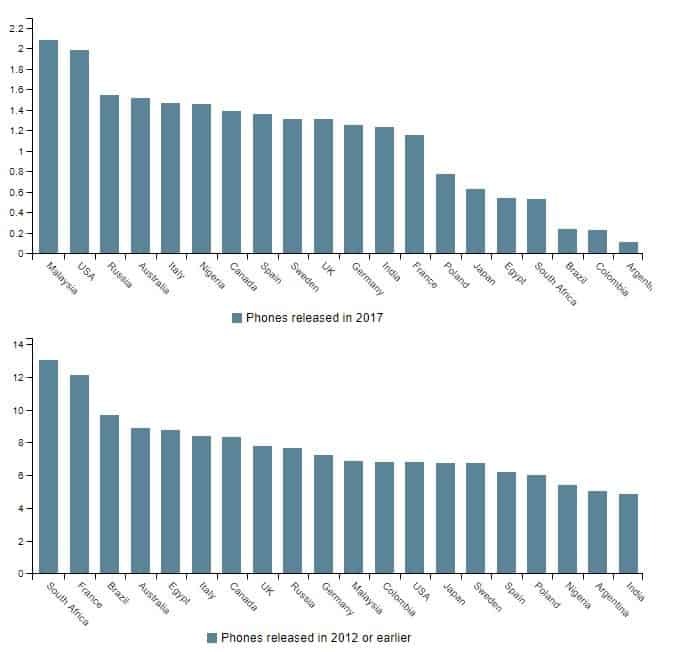 The graph above shows how sharply public interest in smartphones has declined from 2012 to 2017. In a span of merely half a decade, consumer interest in new phones in the US have plummeted from drawing in 6.8% website visits to a meager 2%. That is a 70% drop in potential smartphone buyers in one of the biggest smartphone markets around the world and this sharp decline has hurt the bottom lines of most Android smartphone makers. With a slew of hacks and security flaws making news on the Internet, the debate about OS security has been renewed and a lot of smartphone buyers are now looking at exchanging older outdated devices with newer smartphones. Most smartphone manufacturers want to cash in on this by selling newer devices instead of prolonging the life of older ones. Now there is a very specific reason we have saved this one for the last. There are a lot of conflicting ideas coming out of the various Android manufacturers when it comes to Project Treble and it’s usefulness. While some companies like Samsung and Nokia have stated that none of their current gen devices will be able to support Project Treble, others like Huawei have promised Treble support as and when their current gen devices make the jump over to Android Oreo. Now before we let any accusations fly, it is important to first take a quick look at how Treble is implemented so that we have a bird’s eye view of the hurdles smartphone OEMs have to encounter while implementing this new framework into their older devices. 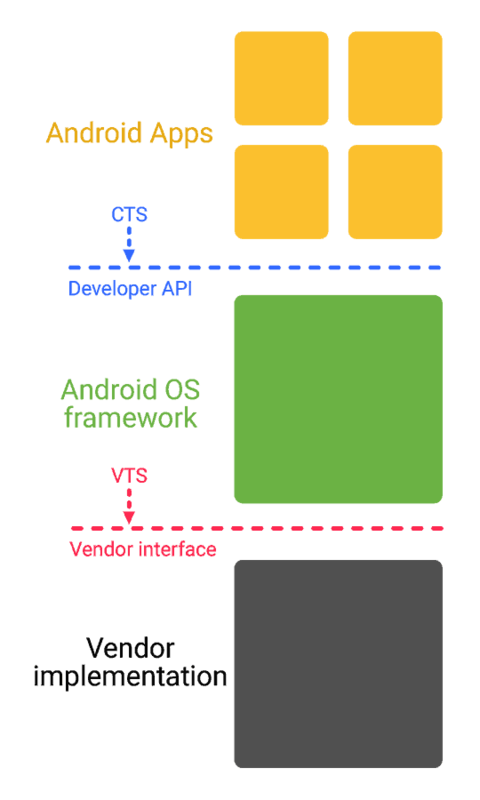 As the diagram to the right very clearly demonstrates, under Treble, the Android OS is divided into three modular parts that reside in 3 separate partitions. However, older generation devices do not have a separate partition for Vendor implemented HALs and as a result of this most manufactures are afraid that making this partition through an OTA(Over The Air) update will increase the chances of bricking the devices. While we do understand that as an OEM their primary concern is the safety and continued usability of devices they manufacture, we can’t help but feel that most manufacturers are choosing the easy way out in this case. -This official statement by OnePlus entirely sums up the reaction of the phone manufacturers. Project Treble is a bold new move from Google and for the most part OEMs are reticent to act on it, be it for economic or technical reasons of their own. Devices launching with Android O will come Treble-enabled out of the box. Project Treble will make it easier, faster and less costly for device maker partners when these devices are updated in the future. This means that the next 1.3 billion+ devices that Android ships out every year, would come with Project Treble on board and have a better chance at receiving faster Android upgrades than any other device before them. 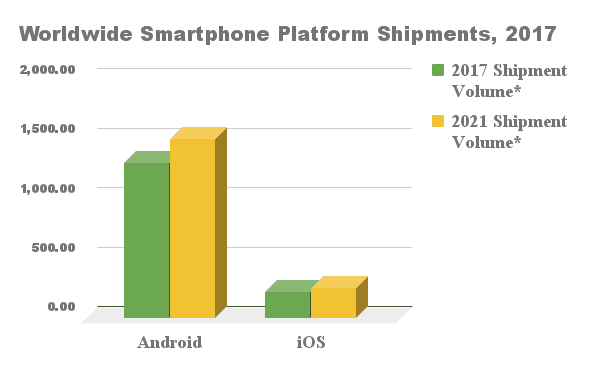 This is indeed good news as Android will continue to exert their dominance as the majority player in terms of market share for the foreseeable future. IDC predictions peg Google’s mobile OS to hold more than 85% of the market in 2021 and at a rate of 1.5 billion devices shipped a year- Android can ill afford to have security breaches that would put billions of users at risk. Treble also holds a beacon of hope for the custom ROM community on Android, which during it’s recent releases, has waned in popularity as the stock interface has been more than enough for most people. However, with the introduction of Treble, XDA Developers are confident that the custom ROM community would be rejuvenated yet again. 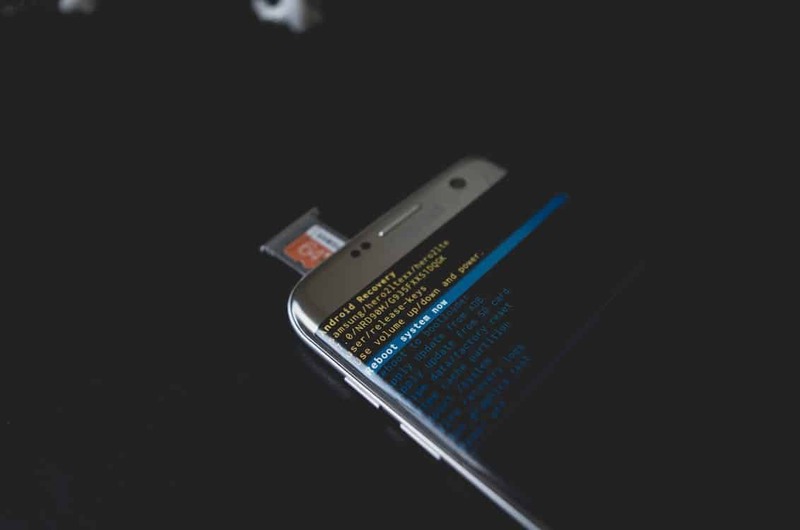 Treble provides immense ease of use for Custom ROM developers and having a separate Vendor Layer for HALs means that one ROM can be used on various different devices across manufactures. This is a giant leap forward as it takes out much of the complexity in developing as well as maintaining a custom ROM. On the flip side, it also makes it way easier for new users to get into the customization scene as flashing a Custom ROM becomes way easier than ever before. If all of this sounds new to you, then head on over to this link- we cover custom ROMs extensively on this website. Do you have any questions or queries about Project Treble? Then do let us know in the comments down below and we would be happy to help you out! And finally if you want to know if your device will support Treble then head on over to this page, we update it as often as we can!